Established in 1825 by East Nottingham Preparative and Nottingham Monthly after Nottingham Monthly was transferred to Baltimore Yearly in 1819. 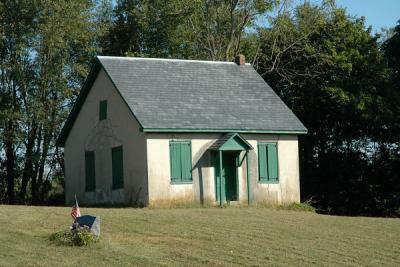 Meetings were held in a small stone meeting house that was erected in 1826 on land donated by Job and Ann Sidwell, a small burial ground adjoining the meeting house. After the Separation, the property was retained by the Hicksite branch, The meeting was laid down in 1886 and the property is under the care of Nottingham Quarterly.